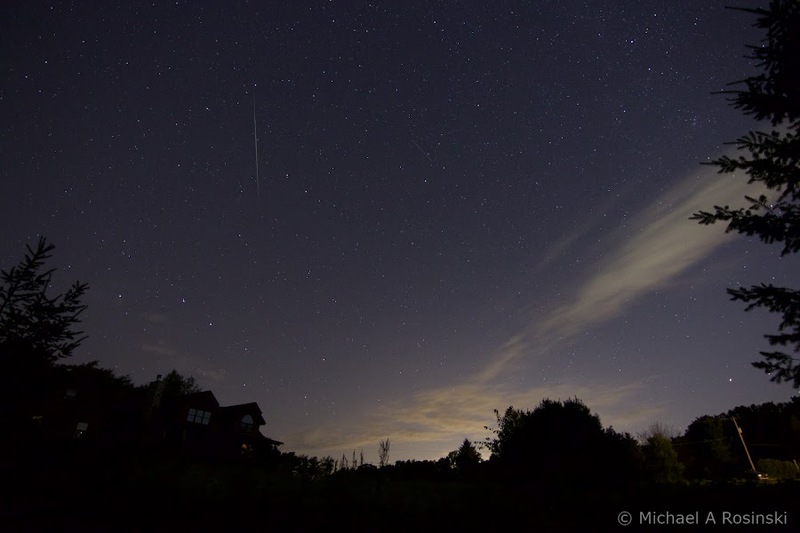 Is the color of a meteor streak due to it's temperature as it heats up and burns or due to it's material composition, or both? 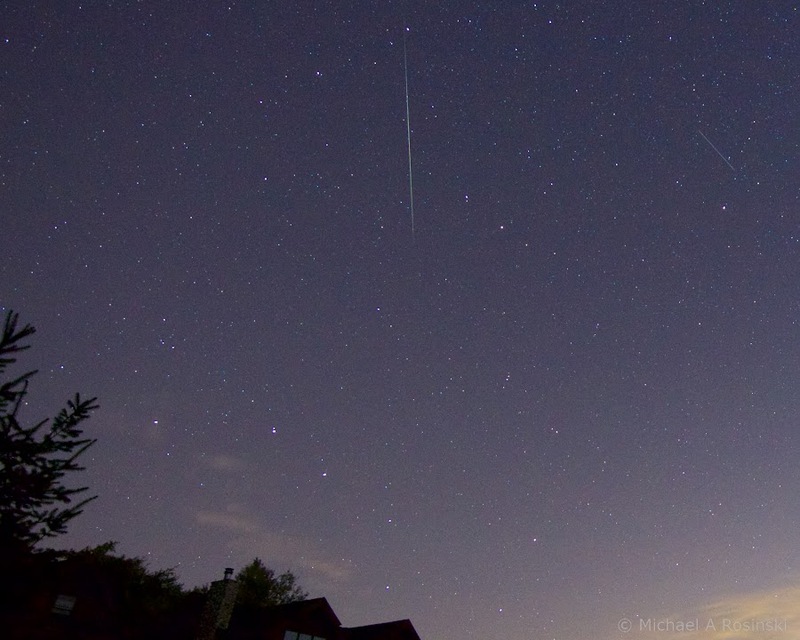 Did some imaging last night-early morning for the Perseids Meteor Shower. These are the best. Looking North-East in the sky, 11:30pm thru 1:30am. 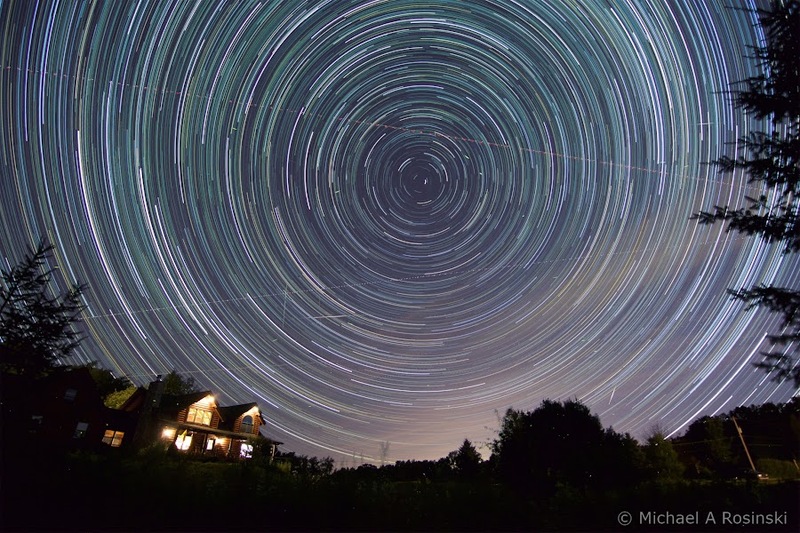 Used Canon 70D with UWA lens 11-16mm at 11mm, f2.8, ISO 1600, 13 sec exposure each. 2 captured in same single image here, the 3rd items with bright dots is a plane. 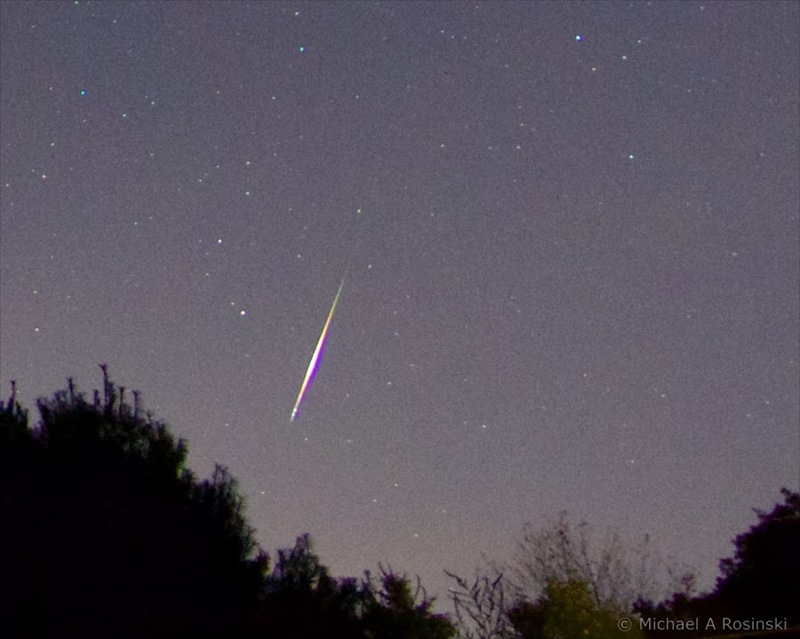 The meteorite going "up/down" is actually NOT a Perseids, it's a "stray", as not coming from the radiant which is on the RH side. 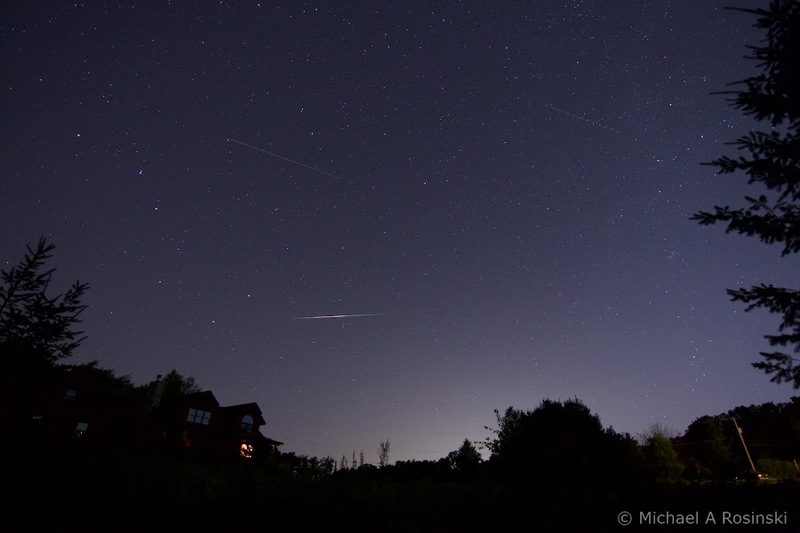 Re: Meteor streak color: By temperature or composition? The tenuous hot gas around the meteoroid is too thin to function as a blackbody. Most of the light is a superposition of emission lines, both from the ablating meteoroid material and from the atmosphere. 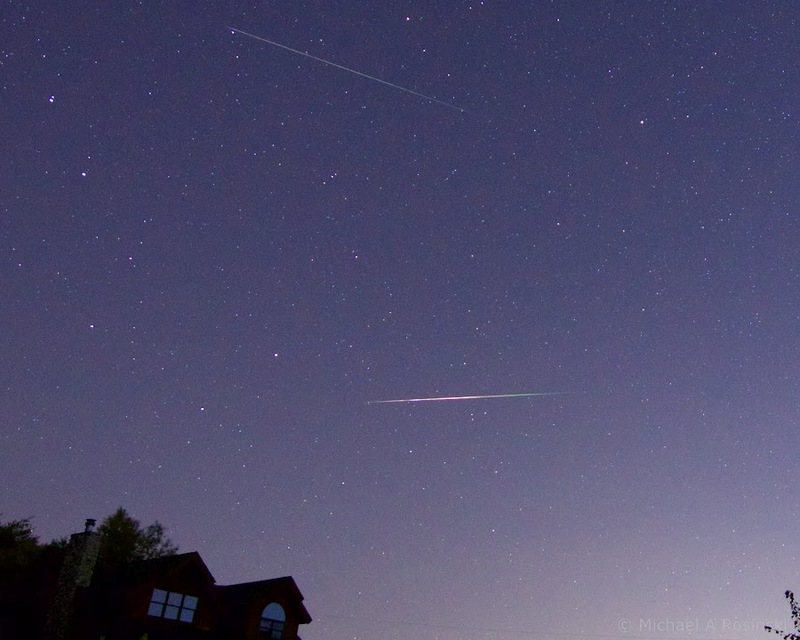 The latter is usually dominant in determining color, but meteoroid composition can also be important. That said, you can't generally make any assumptions about that composition simply from the visual appearance of a meteor.